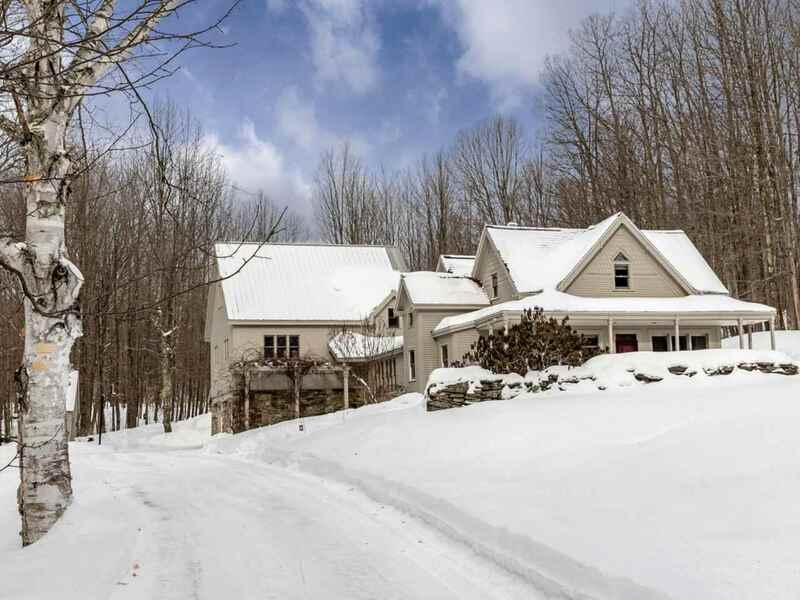 This Vermont wooded wonderland is the perfect spot for those looking to enjoy nature and a relaxing lifestyle. Magical during all months of the year, you will delight in Spring maple sugaring, Summer golf on your own one-hole practice range, Fall leaf-peeping walks and Winter snowshoeing and cross-country skiing. Private and convenient! And if you choose to wander from the property, you are just 20 minutes from Smugglers' Notch Ski Area and 35 minutes to Burlington. This architecturally designed home was lovingly created over time by the current owners and they are now prepared to pass its stewardship over to the next lucky family. The flowing floor plan includes a south facing eat-in kitchen that is flooded with light all year. It opens out onto a beautifully designed and masterfully constructed patio surrounded by dry stack stone walls. The formal dining room is just two steps up from the kitchen and is perfect for those special mealtimes you want to remember. A one-story mudroom connects the original home to a 3 story addition that starts with a 2-car radiant floor heated garage with fieldstone faced foundation. Open Great Room on the second level and a master bedroom on the third level. Two cozier bedrooms and a Â¾ bath in the main house. Radiant floor heating fueled by propane and/or wood boiler. Historic stone walls on property lines and flat driveway. This is a delightful and private woodland home loaded with conveniences. Room 2 Dimensions: 13&apos;10" X 14&apos;10"
Room 6 Dimensions: 12&apos; X 12&apos;9"
Room 9 Dimensions: 15&apos; X 15&apos;4"